KineScribe is an iPad app that displays and edits scores in Laban movement notation. In it, users can read and create scores in structured Labanotation, Motif, and Language of Dance. KineScribe reimagines LabanWriter for the touch screen, allowing users to write dances in Laban movement notation and quickly edit scores and symbols. Continuing development of this app is supported by The Ohio State University. 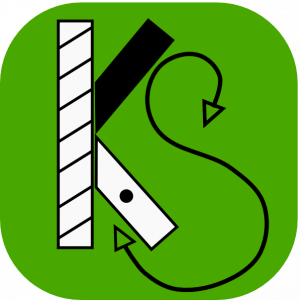 KineScribe is available for free download on the Apple App Store. Contact: Dr. Hannah Kosstrin, Assistant Professor of Dance at The Ohio State University (formerly Visiting Assistant Professor of Dance at Reed College). kosstrin dot 1 at osu dot edu.